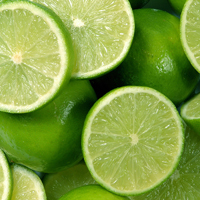 Citrus are a must-have for any kiwi backyard, every yard should have at least one. They are evergreen and easy care and come in an array of forms and flavours. 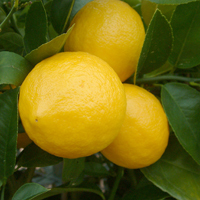 Citrus prefer a sunny, well-drained position out of strong winds. Add a generous amount of Oderings Compost before planting and if you’re planting into clay soil add some sand to achieve good drainage. Planting citrus in pots is a great idea: not only do they look attractive, but they can be easily moved indoors during winter. 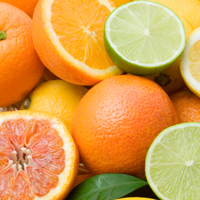 Oderings Shrub & Tub mix is perfect for potted citrus. Regular watering is very important especially when young trees are getting established and when trees are producing fruit. A layer of mulch like pelleted pea straw will help to retain water to the delicate surface roots. If you’re finding your fruit dropping off the trees, or the flesh is very dry and lacking juice, generally increasing your watering will remedy these problems. Unfortunately it is best to remove fruit, as well as any flowers, to stop your plant from fruiting for the first two years. There is a method to this madness: by doing this you are putting the energy from fruiting back into the plant, creating a bigger healthier plant. A bigger plant means a bigger crop, well worth the sacrifices made in the earlier years. Citrus are ‘gross feeders’ and Oderings Citrus & Fruit Tree fertiliser or Yates Thrive Citrus Liquid Plant Food is just what they need. They should be fed at least twice a year with the granule fertiliser and every two weeks during the fruiting season with the liquid food to ensure a bumper crop. Follow the same guidelines with potted citrus, except substitute Oderings Total Replenish for the Oderings Citrus & Fruit Tree Fertiliser. If you’re finding the leaves are yellowing, this is most likely a magnesium deficiency. Feed with Epsom salts or Yates Magnesium Chelate; this will unblock the issue so the plants can start taking up nutrients again. Before fruiting, an application of Yates Flower & Fruit Booster Liquid Potash which is rich in potassium is like liquid gold for fruiting plants, and will help with fruiting and flowering and will sweeten the fruit.